Photoshop actions are a series of steps necessary for automatic photo retouching. They help achieve a certain effect within a few clicks. Photoshop actions are created specifically for those who want to simplify and speed up a time-consuming photo retouching. Nowadays there are a plenty of reliable sources where you can download Photoshop actions for free. Now we would like to present you with some useful and free PS actions meant for portrait photography retouching. FixThePhoto is a company that has been providing customers with picture retouching services for more than 15 years. They offer free Photoshop actions designed to help amateur photographers learn Photoshop and professional photographers make photo retouching faster. 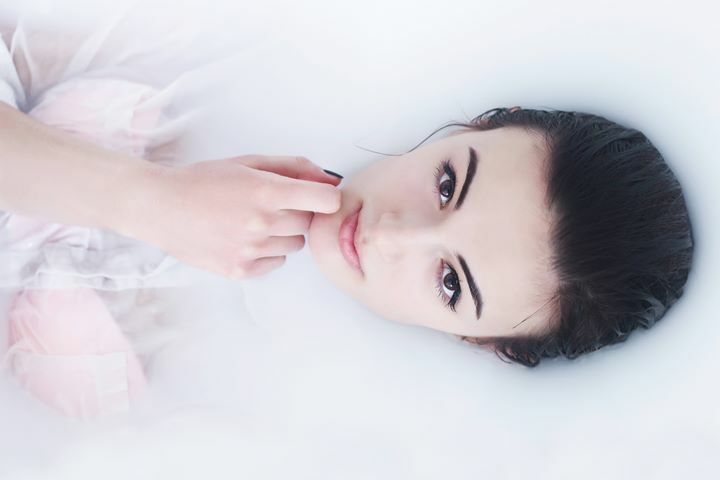 One of the most widely spread types of photography is portrait photography. Portrait retouching is a very thorough, intensive and exhausting process, but FixThePhoto has the way out – free Photoshop actions for portraits. It doesn’t matter whether you are an experienced photographer who needs to edit a bunch of photos at once and save time or you are an amateur who can’t understand how Photoshop works but wants qualified results. These Photoshop actions will definitely come in handy. This bundle contains six free Photoshop actions for portraits, which include the most essential, and basic steps of portrait photo editing. First of all, you have to brighten the eyes of the model by adding bright colors and shine. 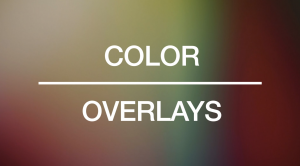 For a more natural look, you can always correct the achieved effect with the filters. Secondly, it is advisable to edit the tone of the skin, especially if its color looks slightly distorted. This step of portrait retouching can be easily done by applying Color Tone Photoshop action which will help you make a great difference in the shade of the skin and in the portrait altogether. Another important part of skin retouching is making it smooth and clean. 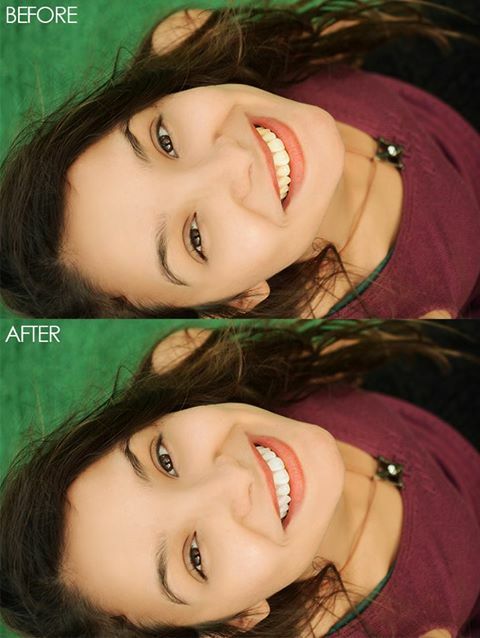 Use FixThePhoto PS action, which removes small imperfections and enhances the texture of the skin very quickly. 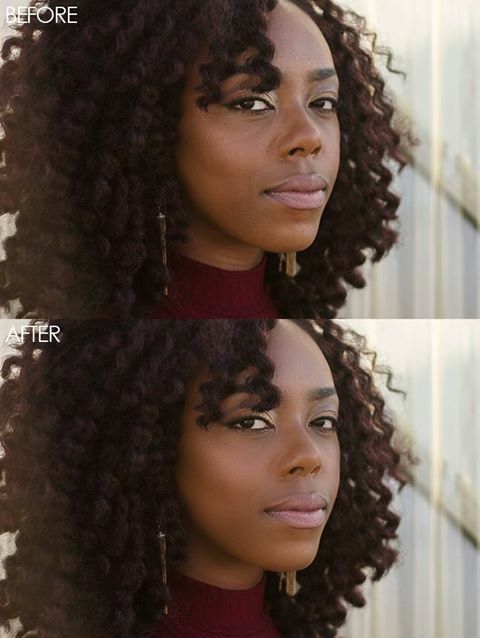 If your professional portrait taken outdoors turned out to be darker than you intended, it can be easily fixed with free Photoshop actions for outdoor portraits. This action smartly adjusts the brightness of your portrait and corrects dark shadows. A perfect portrait photography editing isn’t complete without using teeth whitening filters. A smile is an essential part of every portrait and you can make it look more beautiful and appealing by using teeth whitening Photoshop action. This set consists of six free Photoshop actions for portraits aimed at changing the color of the teeth and making them look white and healthy. If teeth have a yellow shade in the portrait, you won’t have to retouch them one by one, you can simply apply this PS action. With free teeth whitening Photoshop actions you are able to achieve any required type of smile, for example, a classic or snowy, totally white or Hollywood. One more important step, which should be taken into account while editing portraits, is the eyes retouching. Eyes are the most striking and prominent area in every model’s face. One of the first details people pay attention to while looking at the photo is the eyes. This bundle is made up of six free Photoshop actions irreplaceable for every amateur and professional photographer. What can be done to make eyes pop and shine in the portrait? To begin with, the iris and the whites of the eyes can be brightened to make them more distinct. Also, you are supposed to get rid of unnecessary details, like red veins, for a more clear sight. It is recommended to sharpen and highlight some parts of the eyes for them to stand out in the photo. As you can see, you need to go through a decent number of adjustments during eye retouching, but with Photoshop actions, it won’t be a problem anymore. This set also includes additional actions for those who want to change the eye color in several clicks. There is going to be a moment in a career of every photographer when he/she will have to work with the most difficult models – newborns. Children, especially young ones, are unable to control themselves all the time, which is why a task of the photographer is to capture the brightest emotions and highlight them with the help of the photo retouching. 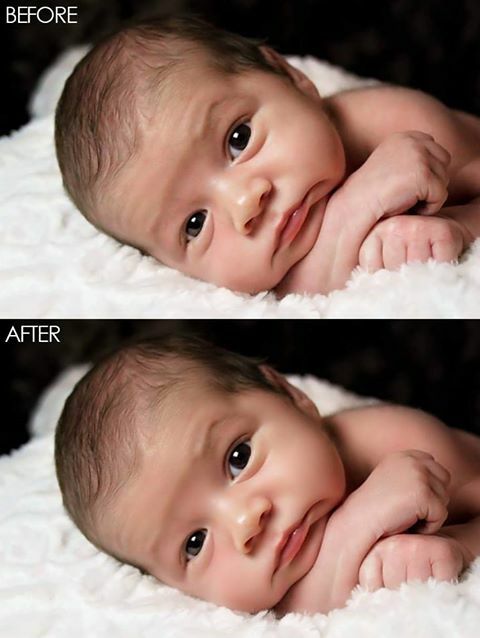 It can be effectively done applying free newborn Photoshop actions. Six free Photoshop actions, which are included in the set, were specifically created for the newborn portrait photography editing. Enhance the way babies look in the portrait by adjusting the lightning. Work on a look of child’s skin by masking red and yellow parts and spots, making the wrinkles less visible, smoothing skin overall and adding a natural rosy pink shade. Without any doubt, if you use this set of free newborn Photoshop actions, parents will definitely be happy and impressed with their children’s portraits. FixThePhoto free Photoshop actions for portraits are available for everyone who has Adobe Photoshop from CS3 to CS6 installed on their computer. These actions can be applied to any file format and customized according to your preferences. FixThePhoto has developed Photoshop actions for portraits free download so that you can easily access them at any time.